Secure the quick release of your loved one with friendly and professional assistance from our licensed bail bond agents. We are ready to serve you 24 hours a day, 7 days a week. Since 2009, we have been helping families in North Carolina release their loved one from custody. Reunite with your detained family member until their scheduled court proceedings today. Getting your loved one released on a bond may seem like a daunting and complicated process. If your loved one has been accused of a crime and is in need of bail money, we can secure their speedy release from jail. Amistad Bail Bonds in Raleigh, North Carolina understands how emotional these times could be for your family, and this is why we handle the paperwork for you. We are ready to help with a variety of bail bond solutions in Wake County and the surrounding areas. Available 24/7, our licensed agents will pick up the phone with compassion and competence. Trust us to make the necessary arrangements on the defendant’s behalf. If a friend or family member is being held by law enforcement for unlawful living within the US, an immigration bond is necessary. Calling an immigration bail bonds company is not necessarily a “fun” thing to do, though. In fact, it can be very stressful. Most people never imagine having to put themselves in a situation where they need to speak with an immigration bail bondsman, and when they do, they quickly find that they know very little about how the process actually works. But an immigration bond is simple in concept and practice: it helps your loved one qualify for their release from jail. Amistad Bail Bonds is committed to seeing qualified bail bond agents throughout our state. That's why we are actively looking for dedicated people with a burning desire to start their own business. You don't need to be licensed already, Amistad will train you using time tested methods to give you the tools you need to reach the level of success you deserve. Our training program will teach you about posting bond, handling collateral and surety, working with insurers, enhancing customer relations, and more. Our team will explain the requirements you need and assist you with pre-licensing classes. Once you pass your exam and receive your license, you can start working as an agent. In times of trouble you need someone you trust on your side. At Amistad Bail Bonds being that someone lies at the heart of everything we do. Our guarantee of high quality service and reliability keeps us Raleigh, North Carolina's number one choice for all types of bail bond service. We have been in the business since 2009. Our coverage includes all 100 counties in North Carolina, and our licensed agents are available 24/7 to answer to your bail bond needs. Fluent in both Spanish and English, we leave no room for miscommunication. Tell us about your bail bond needs today. Amistad Bail Bonds provides state-wide assistance for families in need of emergency bail bond services. 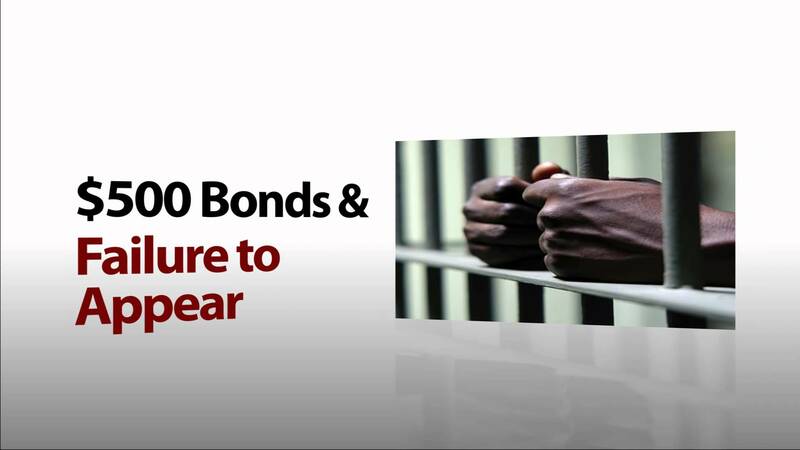 Since 2009, we have been guiding customers through the bail process. We secure the immediate release of every defendant in custody. Trust us to arrange for their return so they can prepare for their scheduled hearing from the comfort of their home. Our bail bond process takes away the hassle of tedious paperwork and addressing your collateral and financial concerns. We are familiar with the urgency of posting bond for your loved one and taking immediate action. With just one call, our licensed bail bond agents will explain what options are available to your loved one. If you’re in need of a professional bail bond agent to act as a surety, you’ve come to the right place. We pledge money or property as bail for the appearance of your detained loved one in court. Our licensed and bilingual agents are available 24/7 for your bail bond needs. The fastest and most reliable bail bonds in Raleigh, North Carolina can only be provided by Amistad Bail Bonds. We understand the urgency of getting a loved one out of jail. Our staff is committed to helping you and your loved ones get through this difficult time as quickly as possible. We pride ourselves on proving the best customer service. This is why we provide the lowest down payments in the area at 5% down on approved bonds. Amistad Bail Bonds Raleigh NC maintains a pool of experienced professionals whose expertise include exceptional, fast and reliable customer service. Therefore, our team of agents is trustworthy, responsive, and diligent experts in posting bail. In addition, our expertise makes us the most sought after bail bond service provider in all NC 100 counties in the state of North Carolina. With our trusted team, you can rest assured that Amistad can have your loved one out of jail in no time. We understand that bail bond emergencies usually take place beyond office hours. Our agents are available 24/7 to help you with your needs. Reach us by phone or fill out our contact form to schedule a free consultation. The amount of the bail bond depends on the seriousness of a defendant’s crime. These criminal offenses may either be felonies or misdemeanors. Misdemeanors carry a lesser sentence than felonies. Those with a misdemeanor charge may resolve the offense with a fine or through community service. Felonies, on the other hand, are a major criminal offense divided into 10 different categories according to their seriousness. The most serious type may be punishable by death or maximum imprisonment. We assist in all and any bond size. Amistad can post bonds of any size, which include $500 bonds. • 5% down payment plans – call for details! We offer free, 24/7 consultations — contact our English and Spanish speaking representatives here: Fianzas en Raleigh. We simplify the complexities of the bail bond process so your loved one won’t have to spend extra time behind bars. Amistad Bail Bonds concentrates their business efforts in providing bail bond services within Raleigh, North Carolina, and its surrounding areas. Our services extend throughout North Carolina, with a special focus on providing efficient and reliable bail bond assistance for families. We also take pride in being the most reliable, trustworthy, responsive, and caring bondsman in Raleigh. Our team responds promptly to phone calls, providing every customer with friendly and attentive services. We leave no stone unturned and look into every option available and take immediate action. Trust us to arrange for the release of your family member from custody for their peace of mind. Therefore, with us on your side, you don’t have to worry about a loved one spending another hour in jail.